On May 4, as many as 40,000 people will gather in Omaha, Nebraska to listen to Warren Buffett offer his folksy wisdom on almost any subject posed by a shareholder. 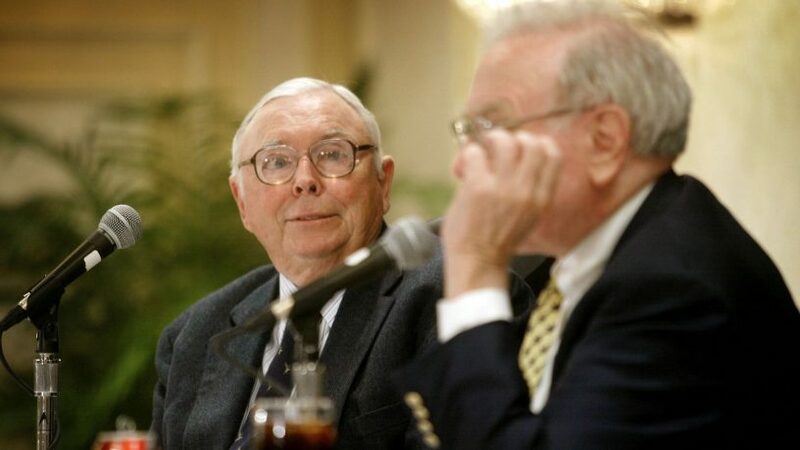 Sitting next to Buffett will be his senior partner, 95-year-old Charlie Munger, Berkshire Hathaway Vice-Chairman and straight man to Buffett’s Mark Twain routine. Munger’s wit and wisdom are no less sharp than Buffett’s, but he delivers them without the simple parables, analogies and political correctness of Buffett. A month ago, Munger sat in a room with fewer than 200 people – several of them billionaire investors – to answer questions from the shareholders of the Daily Journal Corp. I’ve never understood why all the Buffett-ites didn’t buy a few shares of Daily Journal, if for no other reason than to attend the small, intimate shareholders’ meeting each year. Daily Journal’s 19.7% annual return over the past ten years, compared to Berkshire Hathaway’s 12.7% return would have been an added benefit. Here are some of the highlights of Munger’s comments. Munger explained that it is very hard to be rational about something very simple. Munger repeated one of his keys to a happy life: avoid resentment. “Envy is a stupid sin because it’s the only one you could never possibly have fun at.” The nonagenarian went on to say that if you combine gluttony and lust you could have a helluva weekend. Another unregistered Knoxville investment adviser has been linked to a Ponzi scheme. A group of investors is suing Knoxville’s Trae Wieniewitz, alleging he sold them worthless securities, earning commissions of $932,000 while the investors experienced a total loss. According to his website, Wieniewitz is ironically a member of something called the National Ethics Association. Also, ironically, 13 years ago, Wieniewitz lost $100,000 of his own money investing in a similar supposed “safe” investment that promised to triple his money within six months.